Libby Pritchett Designs: Did you know? Did you know that we recently started doing Friday Night chats at Sweet Shoppe? Nicole is there to host while we wait for the store to go live, so it's sure to be a good time. Each week, she will have a few prizes to give away, too, so it's totally worth checking out! Just go to Sweet Shoppe at 9pm EST tonight, click on the chat link at the top of the page, and join in the fun! Here's a peek of the kit I'll be giving away to one lucky winner this week! 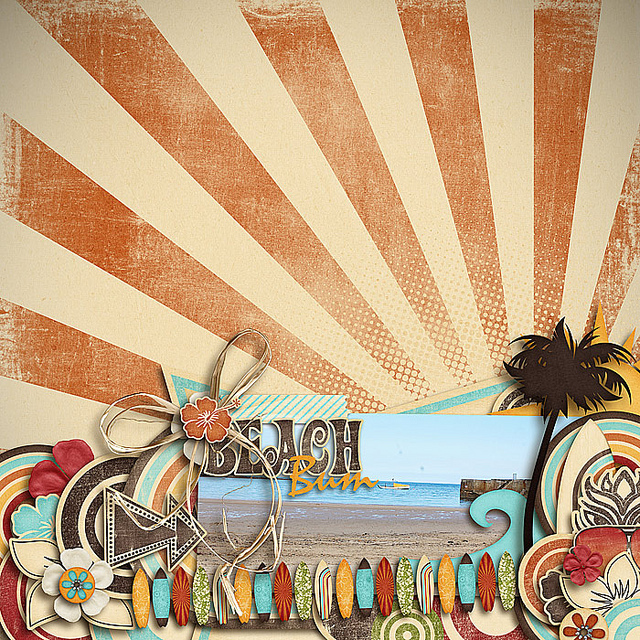 This layout was done by Gemma using my new "If Everybody Had An Ocean" kit which will hit the shoppe later tonight! WOW! Absolutely GORGEOUS page! I love the colors, the theme...can't wait to see it!